It really did cost £300 for my son to “spend a penny” during a recent visit to a local theme park! Yet the theme park provided toilets for all the other visitors that day, all included in the entry fee. Nobody considered it to be a bonus that they had toilets. I don’t even think any other visitors that day called ahead to ask if they had toilets, but I had to book ours and contact the theme park to check that it was okay to bring it. In fact, I think that able-bodied people actually expected the facilities to be there! Able-bodied people also expect attractions to provide separate facilities for men and women, and they expect them to have more than one toilet block in a theme park! Goodness -they will be expecting doors on the toilet cubicles and free toilet roll next! All whilst families like mine hire their own mobile hoist assisted toilet from a company which drives it several hundred miles to us, just so that we can go out with comfort, safety and dignity. I use the word “dignity” a bit loosely though, as, no matter how glad I am that we can hire the Mobiloo, I don’t think many able-bodied people would want to do their business in the back of an attendant controlled transit van. Do feel free to correct me if your toilet preference is not actually to be inside a block built building but to be inside the back of a transit van! My son and I started asking this particular attraction to provide an accessible toilet with a hoist and changing table in June 2016. We hadn’t visited for a few years as I could no longer manage my son’s toileting needs in the park . When he was smaller we used the back of our VW, with two of us lifting him from his wheelchair to a fold-out bed to sort clothing before lifting him to his portable toilet chair, back to the bench and then back into his chair. Then we would deal with the contents of the toilet – ugh! Not pleasant for any of us, but really horrible for my son. Yet, as horrible as it was, at least it meant he could visit one of his favourite places. The theme park bosses know about the need. They know that people are staying away – we stayed away for years, with me making constant excuses to my son about why he couldn’t visit. They know that some families are changing their children (and adults) outside on the grass and that others are using the back of their car or the toilet floor. He should be able to visit his favourite places. He should be able to visit new places. He should be able to go out on any day he chooses. He should not have to make arrangements weeks ahead. And he shouldn’t have to spend £300 to use a toilet! But until all local attractions start meeting the duties of the Equality Act, and the moral duty to treat all people respectfully, life is restricted for hundreds of thousands of people in the UK alone. I am so glad that the Mobiloo option exists, and, when you account for the hours spent driving to a location and returning home after a long day, the cost is reasonable. It is a not for profit company and they always try to help if they can, but it really isn’t ideal. Sign the petition here, and ask your friends to do the same. Nobody should have to spend £300 just to “spend a penny”? Previous: Previous post: Wheels, Wild Food and Fun! Next: Next post: “Pushed out” of school. My heart breaks for you and your family. I’m going to share this on Facebook. Thank you. My son just wants to be able to live a full life, just like other people do. It is so unfair. This is what I posted on Facebook with a link to your blog “There is heartbreak going on all over the UK. Here is one story that tells just a little of the social injustice that’s happening. Please share and lets get this spread as far as possible. If you want to do something to help write to your MP. Ask why this family has to suffer in this way. Ask will your MP do something about it. Let the author of this story know you’ve done some thing. PLEASE HELP NOW” In the comments I named 10 people that I think will at least share it and asked them to share and ask ten of their friends to share it, I hope it helps, if I name more than 10 Facebook gets annoyed. I’m waiting to hear from my MP about changing places. Keep me posted if you can think of any other way to help. I’m a Cornish lass and we Cornish should stick together! Absolutely! There is a temporary solution and the long-term solution is also quite straightforward. Cornwall Services installed a Changing Places toilet within three months of being asked. I am so glad that we could do it, but your ability to go out should not depend on whether you can save enough to hire a facility. Booking it and arranging parking is another stress. And then the weather can decide to wash it all out and you still have to pay £300. Shocking that still there are not enough facilities to ensure that everyone can have their basic needs met with dignity. Such a high cost to pay for the day too. Sharing this post now and will continue to do so. 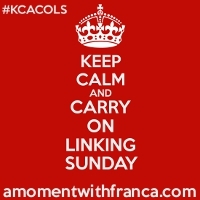 Thanks so much for linking up to #KCACOLS hope to see you next time. I have just received a letter from my MP Ben Bradshaw who said “Thank you for your recent email about changing places. I very much agree that this is unacceptable. Rest assured, I will continue to work in Parliament to hold the Government to account on this issue”. So it looks like he was already aware and is actively working re changing places. Do you know any other MP’s how are doing the same ? I do like him. Very few seem to really understand. My own MP has supported a local planning clause to help get more installed but is yet to respond to my September email requesting support to get legal changes. Thank you so much. Getting every MP aware of the reality faced by many is going to help. Send him a reminder stating when you sent the email, saying you expect to hear back from him within 7 days and say if you don’t you’ll have to take the matter further ( but no explanation of what that might mean). . If that doesn’t work report him to party head quarters -I’m sure they don’t like that sort of sloppy attitude. I’d ask for a bit more than support and ask him what he intends to do about it, has he raised the subject with the relevant departments, has he spoken to the house about it and anything else you can think of. Of yes you could ask him to speak to Ben Bradshaw about it. I expect Ben would be happy to talk to him. Have you been in contact with Ben ? MPs only respond to people in their own constituency so I have only contacted mine. But I am encouraging others to speak to theirs so that we can get as many as possible on board. We are still “lucky” (?) enough to be able to change EJ in the car, but that’s no proper solution either and is likely to have a time limit as she grows older. I know your plight. But I’m still go smacked every time I read your posts. Nobody should be forgotten like this. We are failing the disable people of our society. And in huge attraction like this there is really no excuse…..at all! Wow! I literally had no idea! You are so right. I felt almost ashamed when you said “Nobody considered it to be a bonus that they had toilets” because yeah – we just take it for granted. We need posts like this and we need to share them far and wide as there are naive people out there (like myself) who just have no idea about this stuff.